It’s that time of year again when I go back through my spreadsheets of books read, films seen and albums bought, and try to decide which are the best five of each. And yes, I do keep spreadsheets of them. I even have one where I record the bands I’ve seen perform live. And no, it’s not weird. It is organised. Back in June, I did a half-year round-up – see here. Some of the books, films, albums I picked then have made it through to the end of the year, some haven’t. This time, for a change, I’m going to actually order my choices, from best to, er, least-best. This is probably the most impressive debut novel I’ve read for a long time. It could almost have been written to appeal directly to me. I like books that do something interesting with structure; it does something interesting with structure. I like books whose prose is immediate and detailed; its prose is immediate (present tense) and detailed. I like books that are broad in subject; it covers a number of different historical periods. And it all makes sense in the end. I’ll certainly be keeping an eye open for further books by Ward. I read this book in the second half of the year, so it didn’t make my half-year best. I wrote more about Girl Reading here. This year, I’ve actually read eleven genre novels first published during the twelve months, which I think may be a personal record. Having said that, it’s been a good year for genre fiction for me, as a number of my favourite authors have had books out. Sadly not all of them impressed (The Hydrogen Sonata, I’m looking at you). 2312 was everything I expected it to be and nothing like I’d imagined it would be. The plot is almost incidental, which is just as well as the resolution is feeble at best. But the journey there is definitely worth it. It is a novel, I think, that will linger for many years. Again, I read 2312 during the latter half of the year, so it didn’t make my half-year list. I wrote more about it here. The endings of Ken’s last few novels I have not found particularly convincing. It’s that final swerve from near-future high-tech thriller into heartland sf. Though the groundwork is usually carefully done, it too often feels like a leap too far. But not in Intrusion. The world-building here is cleverly done – I love the pastiche of Labour, with its “free and social market” – the thriller plot works like clockwork, and the final step sideways into pure genre slots straight in like the last piece in a jigsaw puzzle. Intrusion is another book I read in the second half of 2012, so it didn’t make my half-year list. I reviewed Intrusion for SFF Chronicles here. Curiously, I’d always liked the film adaptation by Bernardo Bertolucci, which inspired me to read the novel, but after finishing the book, I tried rewatching the film and found myself hating it. Mostly it was because the Lyalls, who are creepy and villainous in the novel, had been turned into comic caricatures. A lot had also been left out – though that’s not unusual, given the nature of the medium. The Arabic in the novel used French orthography, which meant I had to translate it twice to work out what it meant. And it looks like four out of the five books in this list I read after June, so the Jones collection is the only one from my half-year list that made it through to the end of the year one. There are, however, a ton of honourable mentions – it’s turned out to be quite a good year, book-wise. They are: The Bender, Paul Scott (1963), which read like a sophisticated 1960s comedy starring Dirk Bogarde; The Door, Magda Szabó (1987), the best of my world fiction reading challenge (which I really must catch up on and finish); Betrayals, Charles Palliser (1994), a very clever novel built up from several stories, including a fun spoof of Taggart and a brilliant piss-take of Jeffrey Archer; How to Suppress Women’s Writing, Joanna Russ (1983), which should be required reading for all writers and critics; Hear Us O Lord from Heaven Thy Dwelling Place, Malcolm Lowry (1961), which introduced me to the genius that is Lowry; Ison of the Isles, Carolyn Ives Gilman (2012), successfully brings to a close the best fantasy of recent years; Omega, Christopher Evans (2008), a long overdue novel from a favourite writer, and a clever and pleasingly rigorous alternate history / dimension slip work; and Blue Remembered Earth, Alastair Reynolds (2012), the start of a near-future trilogy, which is very good indeed but also stands out because it’s not regressive or dystopian. It’s about the Peasant Uprising in nineteenth-century Hungary, and consists of hippy-ish actors wandering around an declaiming to the camera. Occasionally, they sing folk songs. Then some soldiers arrive and some of the peasants get shot. But they’re not really dead, or injured. Then the landowners turn up and start espousing the virtues of capitalism. But the peasants shout them down. A priest tries to explain the “natural order of things”, but the peasants aren’t having it. Then more soldiers arrive and round up all the peasants. The ending is very clever indeed. It’s a hard film to really describe well, but it’s fascinating and weird and beautifully shot. I wrote about it here. This was Antonioni’s first film shot in colour and it looks absolutely beautiful. In terms of story, it is much like his earlier masterpieces, L’Avventura, La Notte and L’Eclisse, and, like them, stars Monica Vitti. But also a (weirdly) dubbed Richard Harris. It’s a surprisingly bleak film – although perhaps not “surprisingly”, given that earlier trilogy – but it’s hard not to marvel at the painterly photography and mise-en-scène – who else would have the fruit on a barrow painted in shades of grey in order to fit in with the colouring of the surroundings? I wrote about it here. And I really must write more on my blog about the films I watch. This is one of those films where one story hands off to another one and so on, and in which there is no real story arc, just a journey through episodes from the lives of the characters. Each of which is a woman living in Tehran, and all of whom have just recently been released from prison. They were not, however, imprisoned for doing things that would be criminal in other nations. As the title indicates, the stories come full circle, and the film’s message is far from happy or pleasing, but there is still room for hope. This film won several awards, though the Iranian authorities were apparently very unhappy with it. It’s not about cats, it’s about two musicians in Tehran who have been invited to perform at a music festival in London. But first they need to find some more musicians for their band, and they also need the necessary paperwork to leave Iran. But western-style music, which is what they play, is illegal in Iran, and there’s no way they’ll be able to get the visas they need legally. So they visit all the musicians they know, hoping some of them will be willing to go to London with them, and they also pay a well-known underground figure for the papers they require to travel. It’s an affirming film, but also a deeply depressing one. I was badgered into going to see this at the cinema by Tim Maugham on Twitter. I hadn’t really thought it would appeal to me. Even the fact it was touted as being more faithful to the 2000 AD character didn’t mean I’d like it. Although I grew up reading 2000 AD, Judge Dredd was far from my favourite character, and I’ve not bothered buying any of the omnibus trade paperbacks that are now available. But I went… and was surprised to find it was a bloody good film. It’s sort of like a weird munging together of an art house film and a Dirty Harry film, and strangely the combination works really well. It’s violent and horrible and grim and panders to all the worst qualities in people, but it all makes sense and fits together, and despite its simple plot is cleverly done. I plan to buy the DVD when it is available. Iranian cinema did well this year for me. Not only did The Circle and No One Knows About Persian Cats make it into my top five, but two more Iranian films get honourable mentions: A Separation, Asghar Fahadi (2011), and The Wind Will Carry Us, Abbas Kiarostami (1999). Kiarostami I rate as one of the most interesting directors currently making films. Other honourable mentions go to: John Carter, Andrew Stanton (2012), which was undeservedly declared a flop, and is a much cleverer and more sophisticated piece of film-making than its intended audience deserved; Monkey Business, Howard Hawks (1952), is perhaps the screwball comedy par excellence; On the Silver Globe, Andrzej Żuławski (1988), is bonkers and unfinished, and yet works really well; there is a type of film I particularly like, but it wasn’t until I saw Sergei Parajanov’s The Colour of Pomegranates that I discovered it was called “poetic cinema”, and his Shadows Of Forgotten Ancestors (1965) is more of the same – weird and beautiful and compelling; and finally, François Ozon’s films are always worth watching and Potiche (2010) is one of his best, a gentle comedy with Catherine Deneuve and Gérard Depardieu in fine form. I saw a review of this album somewhere which made it seem as though I might like it. So I ordered a copy from Finland – which is where the band and the label are from. And I’ve been playing it almost constantly since. It’s Finnish death/doom metal mixed with progressive metal, which makes it the best of both worlds – heavy and intricate, with melodic proggy bits. The Finns, of course, know how to do death/doom better than anyone, but it’s been a surprise in recent years to discover they can do really interesting prog metal just as well – not just In Mourning, but also Barren Earth (see my honourable mentions below). A friend introduced me to this one. It’s an Australian one-man band, and the music is a weirdly compelling mix of black metal and… orchestral symphonic music. It sounds like the worst kind of mash-up, but it works amazing well. In the wrong hands, I suspect it could prove very bad indeed. Happily, Waldorf (AKA Horace Rosenqvist) knows what he’s doing, and the transitions between the two modes are both seamless and completely in keeping with the atmosphere the album generates. The album is available from Aquilus’s page on bandcamp, so you can give it a listen. This year’s honourable mentions go to: (Psychoparalysis), for a trio of EPs I bought direct from the band, and which are good strong Finnish progressive death metal; Anathema’s latest, Weather Systems, which I liked much more than the three or four albums which preceded, and they were bloody good live too; Hypnos 69’s Legacy, which I finally got around to buying and was, pleasingly, more of the same (this is good, of course); Barren Earth’s The Devil’s Resolve, which is definitely heavier than their debut album, but still very proggy and weird; A Forest of Stars, which is steampunk meets black metal, and it works surprisingly well (check out this video here); Nostalgia by Gwynbleidd, who, despite the name, are Poles resident in New York, and sound a little like a cross between Opeth and Northern Oak; Headspace, I Am Anonymous, another Damian Wilson prog rock project, but I think I prefer it on balance to Threshold’s new album; and Alcest, another band new to me in 2012, who play shoegazer black metal, which, unfortunately, works much better on an album than it does live. I mentioned in a post last week that I don’t read as much genre short fiction as I feel I should. After all, my views outlined above are taken from the little I’ve read on awards shortlists and in year’s best anthologies. Just because that’s what the genre values doesn’t mean the sort of stuff I value doesn’t exist. I just need to find it. So by including a short fiction best of list in 2013, I’ll be motivated to track down those good stories, to seek out those authors who are writing interesting stories. But that’s all by the by. This post is about 2012, not 2013. Sadly, I didn’t manage to reread much Durrell to celebrate his centenary. I’ve had The Alexandria Quartet by the side of the bed for about nine months, and I dip into it every now and again, but then I have to put it to one side as I have to read a book for Interzone or SF Mistressworks… Speaking of which, I had to drop to a single review a week on SF Mistressworks, but I still plan to keep it going. During 2012, I read 41 books by women writers, compared to 63 by male writers, which is about 40% of my reading (this doesn’t include graphic novels, non-fiction or anthologies). I also reviewed a handful of books for Daughters of Prometheus, although I haven’t posted one there for several months. (I’ve no plans to drop either responsibility in 2013.) Just over a third of my reading was science fiction, and a quarter was mainstream – so sf is still my genre of choice. Numbers-wise, I’ve not managed as many books as last year – only 146 by the middle of December, whereas last year I’d managed 165 by the end of the year. But I think I’ve read some more substantial books this year, and I did “discover” some excellent writers, such as Malcolm Lowry, Katie Ward and Paul Bowles. It’s a shame I never managed to complete my world fiction reading challenge. I still have half of the books on the TBR, so I will work my way through them, though I may not blog about it. But, for now, it’s Christmas – bah humbug – in a week. And then the start of 2013 follows a week after that. Here’s hoping that next year is better for everyone, that the good outweighs the bad, and that every surprise is a pleasant one. Categories: 2012 roundup, books, films, music | Tags: (psychoparalysis), a forest of stars, abbas kiarostami, alastair reynolds, alcest, anathema, andrew stanton, andrzej żuławski, aquilis, bahman ghobadi, barren earth, carolyn ives gilman, charles palliser, christopher evans, cormorant, françois ozon, gwynbleidd, gwyneth jones, headspace, howard hawks, hypnos 69, in mourning, jafar panahi, joanna russ, katie ward, ken macleod, kim stanley robinson, magda szabó, malcolm lowry, michelangelo antonioni, miklós jancsó, paul bowles, paul scott, pete travis, sergei parajanov, siphon the mammon, woods of ypres | Permalink. 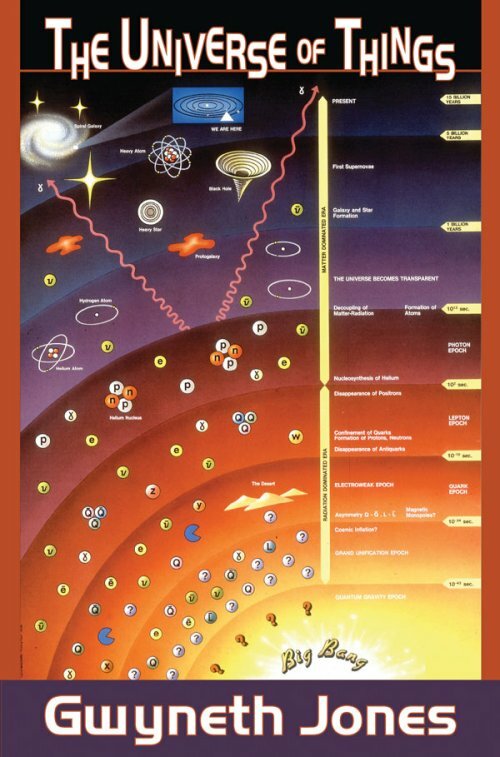 The Universe of Things, Gwyneth Jones (2011). Jones has been my favourite writer for many years, so this collection’s appearance on the top five is no surprise. I had, in fact, read most of the stories in The Universe of Things before (I even published one; sort of), but rereading them only cemented my admiration of them. Jones has not written many stories, but there are no clunkers among them. This collection is an excellent introduction to her fiction. I wrote a review of the book for Daughters of Prometheus. Omega, Christopher Evans (2008). I’ve long admired Evans’ fiction, but he seemed to stop writing after 1995’s Mortal Remains… until Omega four years ago. I won’t say it was worth the wait, because it’s never good when a writer whose books you enjoy and admire disappears for more than a decade. But certainly Omega is a good book, a clever alternate history dimension-slip thriller partly set in a world where World War II continued on throughout the twentieth century. I wrote about Omega on my blog here. The Door, Magda Szabó (1987). This year for my reading challenge I decided to read books by non-Anglophone writers I’d never read before. The Door was the second book I read for the challenge, and I really enjoyed it. Unfortunately, the challenge has got a little bogged down of late – I failed to finish March’s book, read April’s book late, and have yet to even start May’s. Anyway, I wrote about The Door on my blog here. 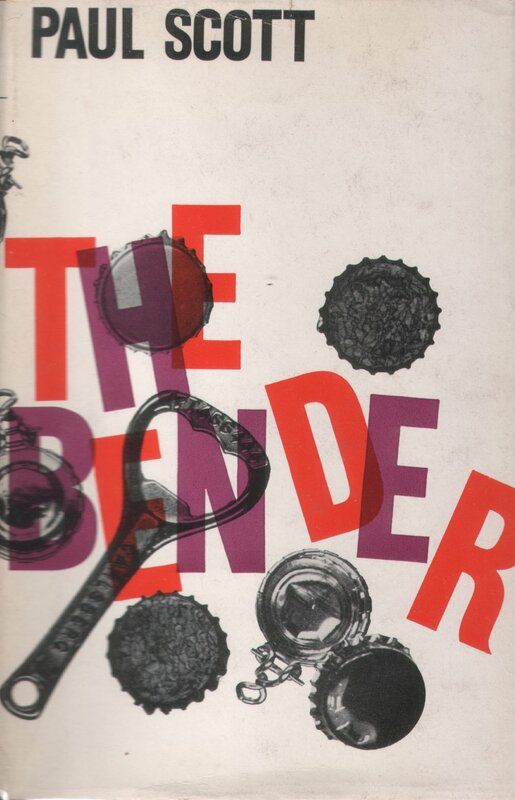 The Bender, Paul Scott (1963). I read the first book of the Raj Quartet for one of my reading challenges, and thought the book was superb. As a result, I added Scott to the list of authors whose books I track down to read. In first edition. The Bender predates the Raj Quartet and is not as weighty as those four books. It’s a very 1960s comedy, but also a beautifully witty one. I wrote about it on my blog here. Betrayals, Charles Palliser (1994). I’m surprised this book isn’t better known. It’s an amazingly-put-together series of stories which form a much greater story. It opens with a series of Victorian travellers, trapped on a train by snow, who tell each other stories… and then proceeds to unravel and then stitch together the stories told by those travellers. There’s a superb take-down of a cult semiotician, a clever spoof of the Scottish detective programme Taggart, and a brilliant pastiche of Jeffrey Archer. Perhaps the links between the stories aren’t quite strong enough to carry the story-arc, but Betrayals is a very clever, very amusing, and excellent novel. Honourable mentions go to Eastermodern by Herta Hurnaus, Oscar Niemeyer Houses by Alan Weintraub and Building Brasilia by Marcel Gautherot, which are books of photographs of modernist and brutalist buildings. Niemeyer’s work perfectly encapsulates the future we could have had, and all cities should resemble Brasilia. Also worthy of note are How to Suppress Women’s Writing by Joanna Russ, which every writer and critic should read; Alias Grace, which is probably Margaret Atwood’s best novel; and Hear Us O Lord from Heaven Thy Dwelling Place by Malcolm Lowry, a collection by an author new to me which contains some excellent novellas and some not so interesting short stories. I’ve already visited the cinema twice so far this year, which is something of a record for me. One of the films I saw in IMAX 3D makes it onto my top five; the other one was rubbish, so it doesn’t. The other films I’ve seen were all on DVD – some borrowed, some bought, and some rented. Red Psalm (Még kér a nép), Miklós Janscó (1972). I bought this after seeing a review of the DVD in Sight & Sound. I wasn’t sure what to expect, but it certainly wasn’t a group of hippie-looking Hungarians wandering around a farm spouting socialist rhetoric and singing folk songs, and then getting shot at by soldiers. I loved it. I wrote about Red Psalm on my blog here. Red Desert (Il deserto rosso), Michelangelo Antonioni (1964). I’ve admired Antonioni’s films since first seeing L’Avventura several years ago. Red Desert was his first film in colour, and it shows – it’s an amazingly painterly film. Unlike in most films, the characters do not over-shadow their world but are very much a part of it. It creates a distance between viewer and cast, but there’s an immersive quality to the mise en scène which renders that of little importance. Films don’t need viewer analogues – that’s just confining the medium to the simplicity of oral storytelling: films use images just like books use words, and that’s where their focus should lie. I wrote about Red Desert on my blog here. 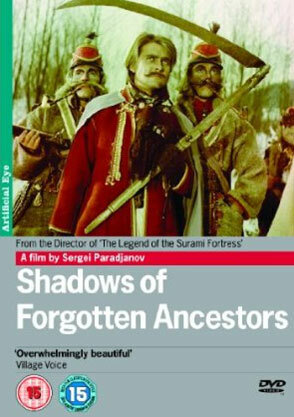 Shadows of Forgotten Ancestors (Тіні забутих предків), Sergei Parajanov (1965). I watched Parajanov’s The Colour of Pomegranates last year. That film is perhaps the zenith of “poetical cinema”, but Shadows of Forgotten Ancestors is definitely a way-station on the climb to it. It is, on the face of it, a simple story of one young man’s trials and tribulations. He is a member of Ukrainian Hutsul culture, and the film is rich with its costumes, music and traditions. Shadows of Forgotten Ancestors is by no means an easy film to watch, however, as it operates on so many levels – but it at least has a coherent plot, which is more than can be said for The Colour of Pomegranates. On the Silver Globe (Na srebrnym globie), Andrzej Żuławski (1978/1988). If you can imagine a film that out-Tarkovskys Solaris, then you might have some idea of what On the Silver Globe is like. It’s based on a trilogy of novels published in Poland in 1911 by Jerzy Żuławski, which have apparently never been translated into English. On the strength of this film, they should be. It’s probably evident that I’m not a huge fan of traditional Hollywood-style cinema; it often feels to me like a waste of the medium’s potential. And yet films such as Red Psalm and On the Silver Globe, with their declarative dialogue, often feel like they’re only partway to what film could truly be. I like the painterly mise en scène of poetical cinema, but often find the declarative dialogue as clumsy as science fiction’s crude use of exposition. And so it is in On the Silver Globe – characters run around and gurn at the camera, and then speechify on the meaning of life. However, it’s in the story and the imagery that the film really impresses – enough, in fact, to offset the fact the film was never completed – much like Andrzej Munk’s Passenger. The Polish Ministry of Culture closed down the production of On the Silver Globe when the film was only 80% complete. It was ten years before Żuławski returned to it, and then he could only complete it by using stock footage and voice-over for some parts. It works surprisingly well. I plan to write more about On the Silver Globe on this blog. John Carter, Andrew Stanton (2012). 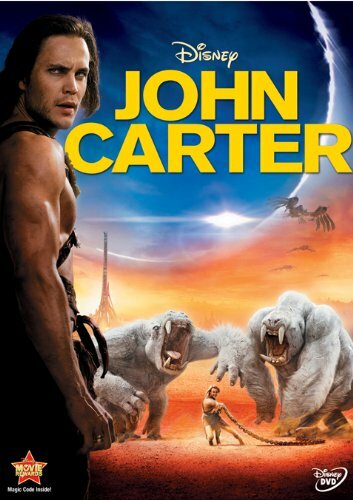 John Carter received a mauling at the US box office, so much so it was officially declared a flop by its studio, Disney. Happily, the world outside the US had more discerning taste and went to see the film in sufficient numbers for it to eventually turn a profit. But the profitability of a film is measured solely on its performance at the US box office – which is both dumb and parochial – so it’s unlikely a sequel to John Carter will ever be made. Which is a shame. John Carter was a spectacle, with a clever script that managed to make something twenty-first century of its early twentieth-century source material. It had its flaws – some longeurs, and an inelegant info-dump to explain the plot – but other parts more than made up for it. I wrote more about it on my blog here. Honourable mentions go to 8½, Federico Fellini (1962), which after seeing La Dolce Vita many years ago and disliking it, I had expected to hate – I didn’t; I loved it. Troll Hunter, André Øvredal (2010), was another deadpan Norwegian spoof and cleverly done, though not quite as good as Norwegian Ninja. The Third Part of the Night, Andrzej Żuławski (1971), was the first Żuławski I saw, and it’s off-the-wall Hitchcockian style appealed to me greatly (as did Andrzej Korzyñski’s superb soundtrack). Went the Day Well?, Cavalcanti (1942), was a surprisingly brutal piece of wartime propaganda in which a German fifth column try to conquer a small English village. It goes badly. The Extraordinary Adventures of Adèle Blanc Sec, Luc Besson (2010), gets a mention as an entertaining adaptation of Jacques Tardi’s bande dessinée, and though it’s completely silly it was great fun. Finally, some quality telly: Twin Peaks (1990 – 1991), which has not dated at all, and is still great entertainment despite being completely bonkers; and Caprica (2010), which promised so much more than it ever got the chance to deliver. I knew from early this year that 2012 was going to be good for music. Perhaps few of my favourite bands are releasing albums, or touring the UK, but I’ve stumbled across some bands new to me that have been on almost constant play on the iPod. Dwellings, Cormorant (2011). The band self-released this last year and it’s a powerful mélange of half a dozen metal genres. I loved it from the first listen, and even went back and got copies of their earlier two albums. 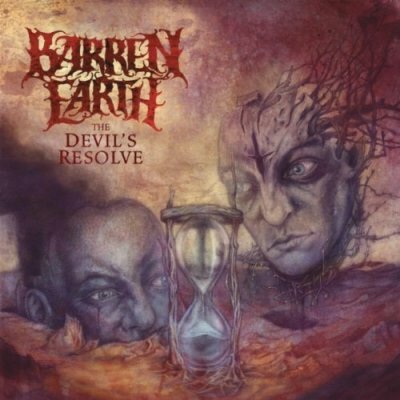 The Devil’s Resolve, Barren Earth (2012). This is the superband’s second album, and it’s a heavier and yet proggier effort than their first. The riffs are not quite as memorable as they are on The Curse of the Red River, but the lead breaks are much more impressive, and the proggy break-outs even stranger. Opeth’s Heritage proved there was a market for 1970s-inspired weird Scandinavian prog, and Barren Earth have taken that and melded it with Scandinavian death/doom to create a winning combination. The Weight of Oceans, In Mourning (2012). I saw a review of this and it sounded appealing, so I ordered a copy from a Finnish website. It’s death/doom in that way the Finns do so well, but with added slow modern progginess. It’s not proggy like Barren Earth is proggy, inasmuch its acoustic parts feel more of a piece with the heavy parts. I’ve been playing it constantly since it arrived. Nostalgia, Gwynbleidd (2009). Another band I came across mention of and who I thought I might like. So I bought the album. And yes, I do like them. Very much. They’re a sort of mix between Opeth and Northern Oak, but also not much like either. There are long sustained death metal parts, interspersed with folky acoustic guitar, and it all hangs together exceedingly well. Legacy, Hypnos 69 (2010). I’ve been a fan of Hypnos 69 since hearing their The Intrigue of Perception several years ago. I’s taken me a while to get hold of Legacy, chiefly because it was released by a small label in Germany and wasn’t available in the UK. Recently I discovered it was on bandcamp, so I bought it from there. It’s Hypnos 69 doing Hypnos 69-type stuff, and I love it. Honourable mentions go to Finnish death metallers (Psychoparalysis), who have self-released three excellent EPs; Weather Systems by Anathema (2012), which I much prefer to the previous album; Wood 5: Grey Skies & Electric Light by Woods of Ypres, which is folky black metal that sounds a little like Type O Negative in places and includes strings and oboe; and finally, All Spawns, a recent compilation of Czech death metal pioneers Apalling Spawn’s two released from the late 1990s (now, if I can only find a copy of the Sparagmos compilation, I’ll be really happy…). Categories: 2012 roundup, albums, books, films | Tags: (psychoparalysis), alan weintraub, anathema, andré øvredal, andrew stanton, andrzej żuławski, apalling spawn, barren earth, caprica, cavalcanti, charles palliser, christopher evans, cormorant, federico fellini, gwynbleidd, gwyneth jones, herta hurnaus, hypnos 69, in mourning, joanna russ, luc besson, magda szabó, malcolm lowry, marcel gautherot, margaret atwood, michelangelo antonioni, miklós jancsó, oscar niemeyer, paul scott, sergei parajanov, twin peaks, woods of ypres | Permalink.